A scene which typifies the weather this summer so far; 'downpour' would be an understatement! 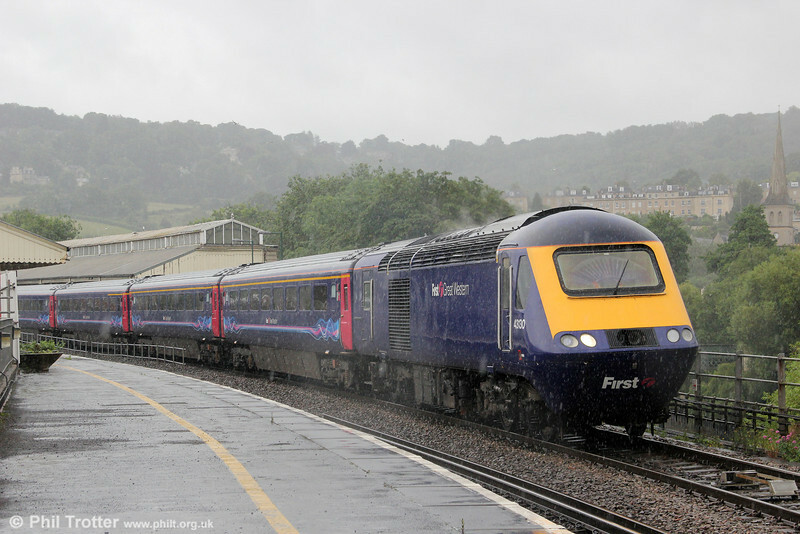 43130 departs from Bath with 5Z30 to St. Phillips Marsh on 7th July 2012. This had previously arrived at Bath as private charter 1Z30, 0922 from Oxford.